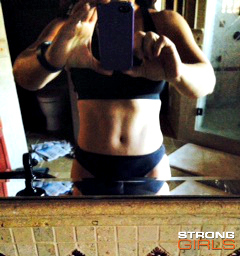 TEAM STRONG GIRLS Biweekly Progress – Christi R.
Highlighting this progress is particularly near and dear to me. 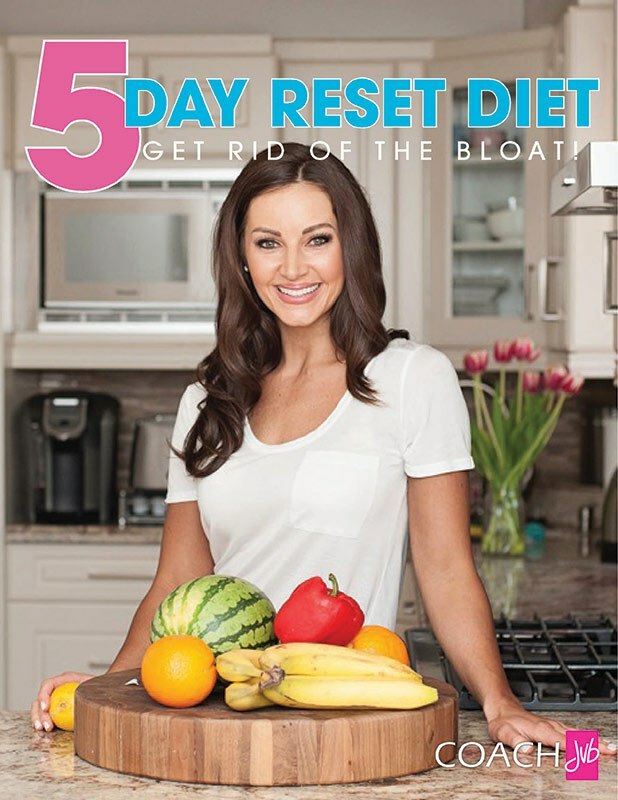 Christi R. came to me last year looking to lose weight. She was frustrated because she was struggling with the process despite being incredibly active, regularly participating in High Intensity Classes, CrossFit, Marathons, and lengthy Cardio sessions. Originally we put together a plan that allowed her to participate in some classes as a stress reliever due to her demanding career as an Attorney and running her own Law Firm in California. I’ve worked with Christi and the demands of her job are extremely high stress so initially I was trying to find the right combination of balance for her life. After months of stagnation and more frustration due to lack of progress, I put a stop to all of her high intensity training and cardio based activities. A full stop. All of the activities she was engaging in was adding to the problem and making matters worse – more hunger, elevated cortisol levels, lack of recovery, etc. I put together the most straight forward strategy for her that consisted of Resistance Training and NO cardio (coupled with her diet) for the purpose of bringing her stress levels down. After much resistance on Christi’s end because all of this was new, we finally set things in motion. At first she thought she wasn’t getting a good enough of a workout because she wasn’t utterly fatigued but I managed to get her on track thoroughly explaining to her that – EFFECTIVE TRAINING ISN’T ABOUT DOING THE VOLUME OF WORK YOU CAN ABSOLUTELY TOLERATE, IT’S ABOUT DOING ONLY WHAT YOU NEED…ESPECIALLY IN A LOWER CALORIE ENVIRONMENT. Once her body got accustomed to the right strategy that was truly in line with her goals, we have progress. Christi says, “I had no idea how far I have come. I remember complaining that I looked like a rectangle. I sure don’t anymore! I feel tiny and my stomach is completely flat. It’s been a long time since other people have noticed a change in my body but in the last 2 weeks, multiple people have commented on how much smaller I look. What a great motivator. My journey with Christi is very, very special to me. For starters I’m honoured she chose me to be her coach. We’ve had struggles with the scale, struggles with the training, struggles with the process but at the end of the day the solution to moving forward was just a matter of simplifying things…rather than complicating things by adding “this, that, and the other” (i.e. more workouts). While the physical progress is nothing short of awesome, it’s the journey we’ve taken together that has resulted in spiritual growth and emotional strength that is the most special to me. We’re still going strong but it was time to take a little breath and celebrate how far we’ve come together. Next PostTEAM STRONG GIRLS Biweekly Progress – Lana K.